Knowledge and insight gained as a lifelong resident of Chicago, negotiating and marketing skills acquired through extensive training and a successful career as a Realtor, and dedication proven by nearly four decades serving clients are just some of the advantages G. Marie offers a discriminating client as fruits of her experience and expertise. Throughout her career, G. Marie has remained dedicated to the premise that continuing education is vital to her own success as well as that of her colleagues and the real estate profession itself. She sits on the Chicago Association of Realtors Professional Standards Committee. Her credentials include a Masters Degree, numerous continuing education courses and multiple professional certifications. From 1999, when she co-founded a modular housing company, Global Tech Development Corp., to joining prestigious Coldwell Banker Residential in 2012, she continues on her way to the upper echelons of Chicago Realtors. G. Marie has proven herself to be an authority on the purchase and sale of distressed luxury properties, is a graduate of Harris Real Estate University, and the renown Institute for Luxury Home Marketing. Currently a resident of the Gold Coast, G. Marie does most of her business in her own neighborhood, as well as the South Loop, various neighborhoods along the lakefront and the city’s near north side (including Old Town, Lincoln Park, Lakeview, Bucktown/Wicker Park, and North Center.) Her client base is as diverse as the neighborhoods she serves. 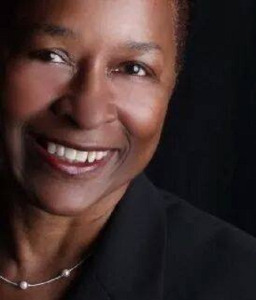 A former elected official, G. Marie was a 12 year member of Lakeview’s Jahn Elementary LSC, and editorial board chair of Peobody award-winner Catalyst Magazine- Chicago that focuses on school reform. She also helped develop criteria for area foundations on earmarking a successful Chicago Public School. G. Marie is a true expert on the workings of the CPS system and a great resource for families looking for the right area to call home. While G. Marie’s extensive experience and expertise are critically important to her clients’ and her success, it is her honesty, discretion, and candor that set her apart. Her prominent placement of her client’s goals and concerns uppermost at every step of the transaction evidences a genuine regard for what they consider to be in their best interest, and creates the foundation of her reputation. In marketing a listing, G. Marie works with her clients to make the most effective use of their love of their home, allowing it to shine through when identifying a target market, writing copy, or preparing other high-quality customized materials. She uses a combination web-based presence, direct mail and word of mouth advertising to target just the right audiences. 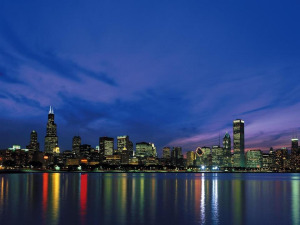 G. Marie’s love for Chicago is as passionate as her love of travel. Prior to her career in real estate she was one of the first North Americans to visit China extensively. That combination led her to persuade Chicago’s Mayor to designate Shenyang as its first Chinese Sister City. She sits on the boards of the Chicago Historic Bungalow Association, and Housing Opportunities for Women (and their children,) Chicago’s nationally-recognized homeless prevention program. An empty nest-er, her other passions include her family, film making, and playing baritone ukulele.